R. Wayne Willis, the author of the popular P. S. God, Can You Fly? 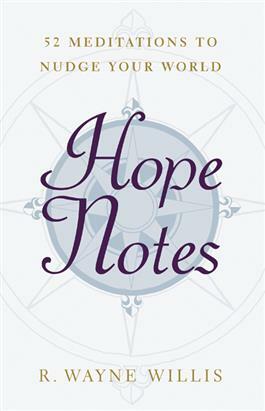 , returns with this collection of fifty-two meditations on hope. Each of the entries includes a quote from a world-renown figure ranging from C. S. Lewis to Franklin D. Roosevelt, a graphic symbol of hope, and a meditation. Written out of the author's sincere passion for the gift of hope for us all, these extraordinary meditations are ideal for individual reflection. Each entry has been uniquely designed to encourage readers to record their own thoughts after each meditation.